Beautiful townhouse offering all the amenities of single family living. Located on a dead end street with your own yard and private driveway. The roof is less than 5 years old, new fence, new custom blinds, new smoke and CO detectors, newly painted, professionally cleaned carpets, and electric and plumbing upgrades. Convenient to Rt. 2, shopping, and public transportation. You'll love that this condo is almost separate from it's neighboring partner and operates independently. Cleaned and ready for move in! Don't miss this amazing deal! 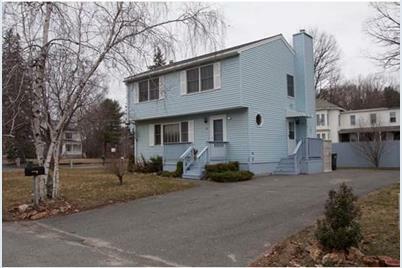 29 Fairmount Place #29, Leominster, MA 01453 (MLS# 71972884) is a Condo property that was sold at $164,500 on July 29, 2016. Want to learn more about 29 Fairmount Place #29? Do you have questions about finding other Condo real estate for sale in Leominster? You can browse all Leominster real estate or contact a Coldwell Banker agent to request more information.